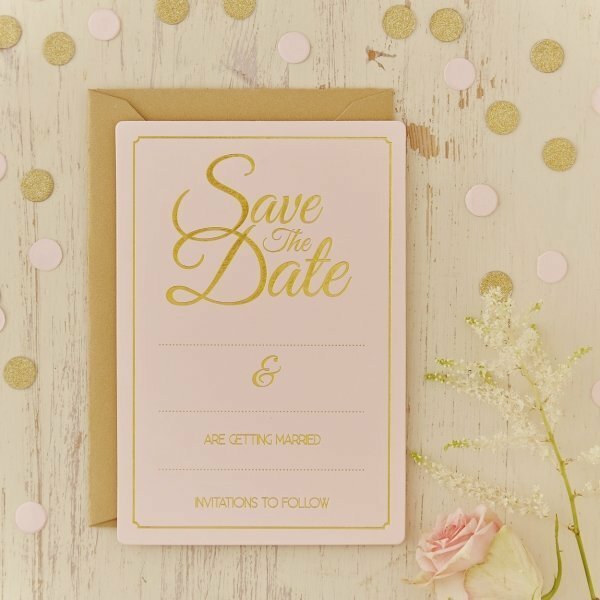 Ensure your guests save the date of your special wedding day with these stunning pastel pink and gold foiled wedding Save the Date Cards Perfect for the fabulous trend of pastel pink and gold themed weddings. These cards have room for you to fill out all the important information. Cards come complete with gold envelopes. 10 x cards and envelopes included. Size: 10 cm wide x 15.9 cm high. Matching wedding invitations and RSVP cards are also available.